I love winter photo shoots, you have to be a bit more imaginative when things are looking particularly gloomy outside. I think that I always expect the worse from the weather but usually end up pleasantly surprised. Choosing a location, which doesn’t look completely bleak can sometimes be more of a challenge. For Alex & Hannah’s winter pre-wedding shoot we headed to the beautiful Victorian pier in Clevedon on the North Somerset coast. 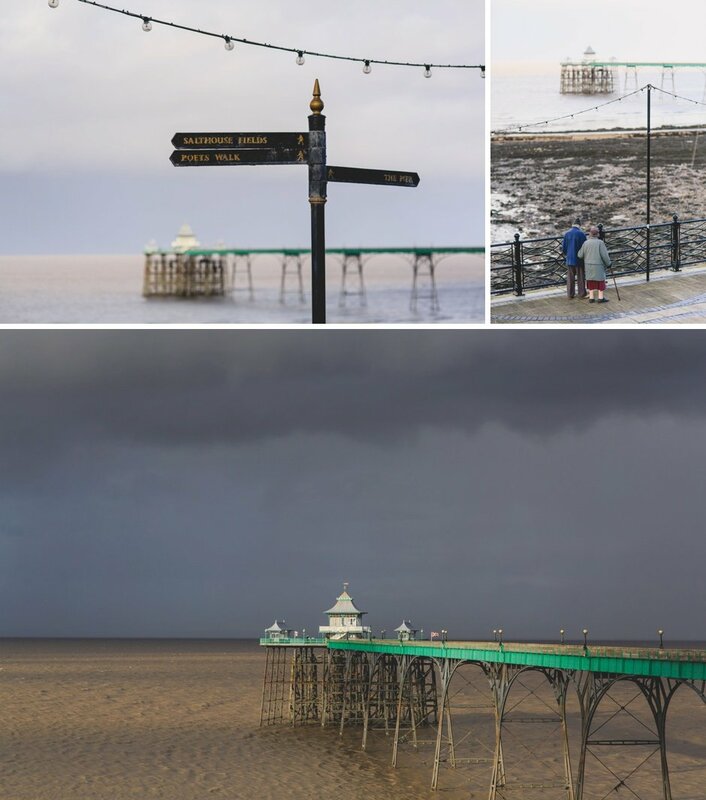 Built originally to receive paddle steamer passengers from Devon and Wales the pier is now a place to linger and take in the beauty of some Victorian architecture.